You have 3 days to save an extra money at US Vera Bradley store locations and at Vera Bradley online. 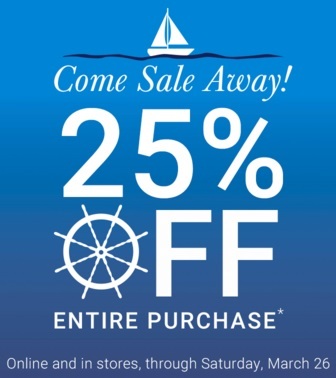 Take an extra 25% off your entire purchase! Source of the information is US Vera Bradley. For more information visit your nearest US Vera Bradley store location. Offer expires 03/27/2016.